It is an informal process known as an alternative dispute resolution (ADR). Mediation is used as an alternative to litigation and it helps the parties work together to resolve and reach a settlement of their dispute. The parties will sit down with a certified mediator who will help facilitate the problem solving process. A mediator is a neutral third party who is trained to use special techniques to get the parties to understand the other side and help them reach a compromise. A mediator does not have the ability to order either party to do anything. Instead, a mediator acts as a facilitator to help the parties come to an agreement. Mediation is a completely confidential process and none of the statements made during mediation can be used against the other party in later court proceedings. This policy fosters an open environment for discussion and resolution of issues. If the parties come to an agreement then it can be written into a legally binding document by the mediator. It is important to note that the mediator does not have the authority to make decisions and all resolutions are made by the parties themselves. Mediation sessions can be conducted with or without attorneys present. Mediators cannot give legal advice. Oftentimes having an attorney present will help a party to look at the options for resolution in a different perspective, help them separate the issues from their emotions, and prevent a party from signing an agreement that is unfair. 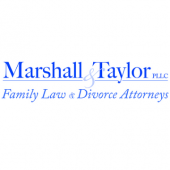 Divorce mediation often involves discussion of child custody, child support, property division, debt payment, post separation support, alimony, attorney fees, domestic violence, and any other issues that my exist.